Are you looking for a battle-ready gaming mousepad? Look no further. Offering supreme acceleration and accuracy-enhancing properties. 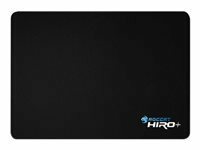 With some of the most advanced build construction ever found in a gaming pad, the ROCCAT Hiro+ the 3D Supremacy Surface Gaming Mousepad is the weapon you were looking for. The Hiro+ features an exclusive vulcanized silicone surface with optimized dimensions of 350 x 250 x 2.50mm. With a complex 3D structure that delivers maximum gliding speed and control on both the x and y axis, the Hiro+ delivers ultimate command capability during any encounter. Thanks to its non-slip rubber base offering a rock-steady command platform, you won’t have to deal with inaccurate on-screen orders caused by slippage. 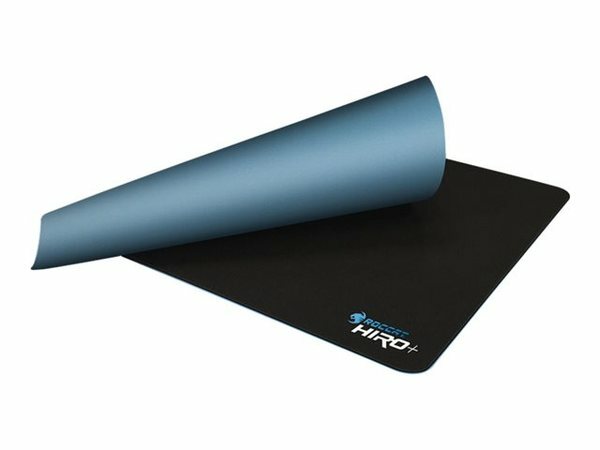 Unlike most mousepads, the Hiro+’s edges are smooth and rounded – quality you can see. Thanks to a power-bonded construction between upper and lower surfaces, the Hiro+’s edges won’t fray – durability for battle readiness, no matter how aggressively you game. Endless gaming sessions won’t affect your Hiro+.